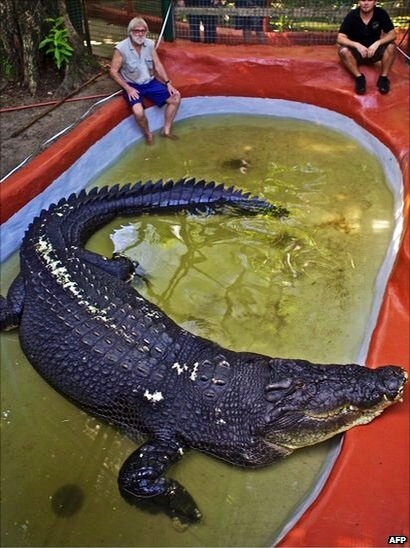 "Cassius Clay”, a 100-year-old saltwater crocodile, awaits a weigh-in at his pool in Queensland, Australia. He has officially been recognized by Guinness as the largest crocodile in captivity anywhere in the world. If you are the author of this article and do not wish to have this article printed on the 『13shoe・高野十座のブログ』, please write to us at http://13shoejiu-the.blog.jp, and we will remove the article.